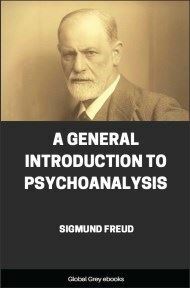 A General Introduction to Psychoanalysis is a set of lectures given by Sigmund Freud 1915-17 (published 1916-17), which became the most popular and widely translated of his works. 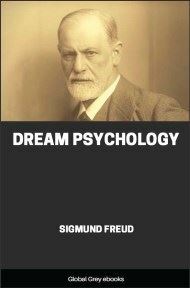 The 28 lectures offered an elementary stock-taking of his views of the unconscious, dreams, and the theory of neuroses at the time of writing, as well as offering some new technical material to the more advanced reader. I DO not know how familiar some of you may be, either from your reading or from hearsay, with psychoanalysis. But, in keeping with the title of these lectures—A General Introduction to Psychoanalysis—I am obliged to proceed as though you knew nothing about this subject, and stood in need of preliminary instruction. To be sure, this much I may presume that you do know, namely, that psychoanalysis is a method of treating nervous patients medically. And just at this point I can give you an example to illustrate how the procedure in this field is precisely the reverse of that which is the rule in medicine. Usually when we introduce a patient to a medical technique which is strange to him we minimize its difficulties and give him confident promises concerning the result of the treatment. When, however, we undertake psychoanalytic treatment with a neurotic patient we proceed differently. We hold before him the difficulties of the method, its length, the exertions and the sacrifices which it will cost him; and, as to the result, we tell him that we make no definite promises, that the result depends on his conduct, on his understanding, on his adaptability, on his perseverance. We have, of course, excellent motives for conduct which seems so perverse, and into which you will perhaps gain insight at a later point in these lectures. Do not be offended, therefore, if, for the present, I treat you as I treat these neurotic patients. Frankly, I shall dissuade you from coming to hear me a second time. 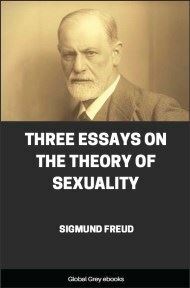 With this intention I shall show what imperfections are necessarily involved in the teaching of psychoanalysis and what difficulties stand in the way of gaining a personal judgment. I shall show you how the whole trend of your previous training and all your accustomed mental habits must unavoidably have made you opponents of psychoanalysis, and how much you must overcome in yourselves in order to master this instinctive opposition. 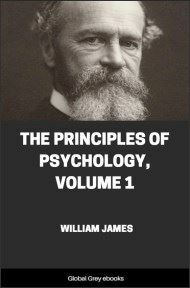 Of course I cannot predict how much psychoanalytic understanding you will gain from my lectures, but I can promise this, that by listening to them you will not learn how to undertake a psychoanalytic treatment or how to carry one to completion. Furthermore, should I find anyone among you who does not feel satisfied with a cursory acquaintance with psychoanalysis, but who would like to enter into a more enduring relationship with it, I shall not only dissuade him, but I shall actually warn him against it. As things now stand, a person would, by such a choice of profession, ruin his every chance of success at a university, and if he goes out into the world as a practicing physician, he will find himself in a society which does not understand his aims, which regards him with suspicion and hostility, and which turns loose upon him all the malicious spirits which lurk within it. However, there are always enough individuals who are interested in anything which may be added to the sum total of knowledge, despite such inconveniences. Should there be any of this type among you, and should they ignore my dissuasion and return to the next of these lectures, they will be welcome. But all of you have the right to know what these difficulties of psychoanalysis are to which I have alluded. 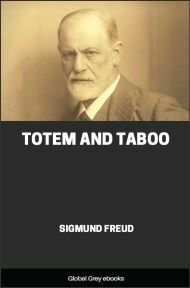 First of all, we encounter the difficulties inherent in the teaching and exposition of psychoanalysis. In your medical instruction you have been accustomed to visual demonstration. You see the anatomical specimen, the precipitate in the chemical reaction, the contraction of the muscle as the result of the stimulation of its nerves. Later the patient is presented to your senses; the symptoms of his malady, the products of the pathological processes, in many cases even the cause of the disease is shown in isolated state. In the surgical department you are made to witness the steps by which one brings relief to the patient, and are permitted to attempt to practice them. Even in psychiatry, the demonstration affords you, by the patient's changed facial play, his manner of speech and his behavior, a wealth of observations which leave far-reaching impressions. Thus the medical teacher preponderantly plays the role of a guide and instructor who accompanies you through a museum in which you contract an immediate relationship to the exhibits, and in which you believe yourself to have been convinced through your own observation of the existence of the new things you see. Unfortunately, everything is different in psychoanalysis. In psychoanalysis nothing occurs but the interchange of words between the patient and the physician. The patient talks, tells of his past experiences and present impressions, complains, confesses his wishes and emotions. The physician listens, tries to direct the thought processes of the patient, reminds him of things, forces his attention into certain channels, gives him explanations and observes the reactions of understanding or denial which he calls forth in the patient. The uneducated relatives of our patients—persons who are impressed only by the visible and tangible, preferably by such procedure as one sees in the moving picture theatres—never miss an opportunity of voicing their scepticism as to how one can "do anything for the malady through mere talk." Such thinking, of course, is as shortsighted as it is inconsistent. For these are the very persons who know with such certainty that the patients "merely imagine" their symptoms.